With the exception of the first year of incorporation (1838), elections of the town council took place annually, at the start of November, though it is important to state that my own research covers only the first dozen years of the council and so the procedure may have altered. ‘An act to provide for the regulation of municipal incorporation of towns in England and Wales’ was passed in September of 1835. Joseph Parkes, a Birmingham solicitor, had been instrumental in conducting the national survey of town administration. His report concluded that the majority of towns were governed by self-elected oligarchies and as result there was much corruption and little accountability amongst provincial authorities. The report, drafted hastily into a bill, passed with little objection through the commons, but a number of concessions had to be made before it left the Lords. It was perceived, however, as a successful extension of the 1832 Great Reform Act that would sweep away the last vestiges of borough rot For the radicals who had supported the bill’s passage, it was also viewed as a means of extending the franchise. 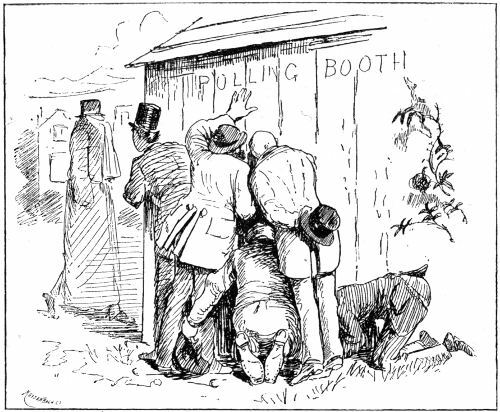 This was not necessarily the case and a number of historians have shown that less people were eligible to vote in local elections than in parliamentary ones. Every male person of full age on the last day of August in any year shall have occupied any house, warehouse, counting house or shop within in any borough during that and the whole of the two preceding years, and during the time of such occupation shall have been an inhabitant householder within the said borough or within seven miles of the said borough, shall, if duly enrolled that year…shall be a burgess of such borough. In addition to being male and resident in the borough for three consecutive years, the householder must have also contributed to the local poor law rate for the whole period. Not only that, he must not have been in receipt of any alms, pension or ‘charitable allowance’ during the twelve months prior to having his name placed on the burgess roll. The roll was compiled by the local board of overseers of the poor each September with a copy to be fixed on the doors of the town hall by September 15th. This was so that any objections could be posited in plenty of time before the November election. For the purpose of elections, large towns were divided into wards and each ward would have a list of eligible voters for that area, taken from the burgess roll and administered by the clerks to the town council. 1. Are you the person whose name is signed as A.B. to the voting paper now delivered in by you? 2. Are you the person whose name appears as A.B. on the burgess roll now in force for this borough, being registered therein as rated for property described to be situated in _____? 3. Have you already voted at the present election? It was a criminal offence to give false answers to any of these questions.